Bal Harbour's Bellini is a project by Martin Z. Margulies, a 24 story building located near the northeastern side of the island right by the sunny beachfront. The smallest units within this building have 3,000 square feet on the smaller side and a tremendous 9,000 square feet if you upgrade to a larger Bellini residence. The 4,000 square foot Bellini fitness center reinforces the strong emphasis on optimum space and it features a unique custom design by Spa Vida. The building's spa cafe serves breakfast and lunch or you can visit the pool near the oceanfront and take a plunge. The 77 Bal Harbour condos for sale of Bellini are available with two, three, four and five bedrooms. If you want to sunbathe the beaches are next door to Bellini so you can always just walk over if you'd like to stay close to home. The Bal Harbour Shops is a major highlight where you'll find the latest fashions by Chanel, Jimmy Choo, Versace and many more. 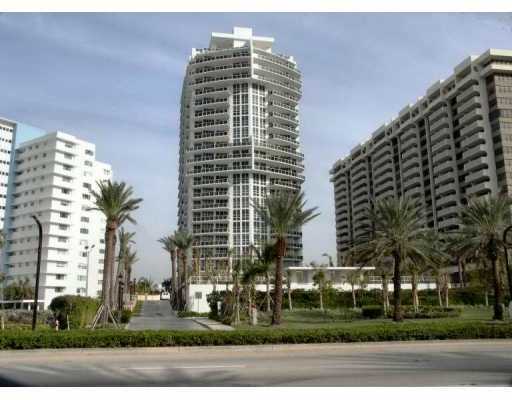 Miami Beach is just south of Bellini or you can visit Sunny Isles Beach to the north of Bellini.